Gertrude A. Starr Burris, 90, of Shippingport Borough, died Tuesday, October 20, 2015, at Heritage Valley Beaver. Born August 13, 1925, in Shippingport, she was the last surviving child born to the late Howard and Elizabeth (Wallace) Green. A homemaker, loving mother and grandmother, she was also a member of the Green Valley United Methodist Church. In addition to her parents, she was preceded in death by her first husband, Willis B. Starr and her second husband, William F. Burris; three brothers, Ralph, Howard and Reed Green and three sisters, Beulah Morken, Elsie Adamson and Laura Wickham. Surviving are two sons and daughters-in-law, Wynn and Billie Starr, Shippingport Borough and Ken and Sandy Starr, Industry; two grandchildren, Jennifer and her husband Rob Henderson and Nathan Starr and his companion Sarah and her daughter Emma and four great-grandchildren, Nicholas, Noah, and Olivia Henderson and Amber Hill. 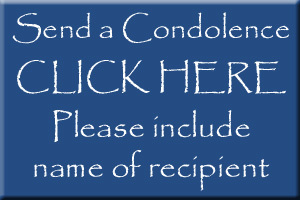 Family and friends are welcome to call in the MCCONNELL FUNERAL HOME, 447 Pine St., Hookstown, PA 15050, Daniel M. McConnell, Owner-Director, on Thursday from 4 to 8 p.m. where a service will be held Friday at 11 a.m. with her pastor, the Rev. Susan Pickering of the Green Valley United Methodist Church officiating. She will be laid to rest in Sylvania Hills Memorial Park, Rochester.